The primary goal of story time at Meade Public Library is to develop and nurture children’s lifelong love of reading, literature and the library. 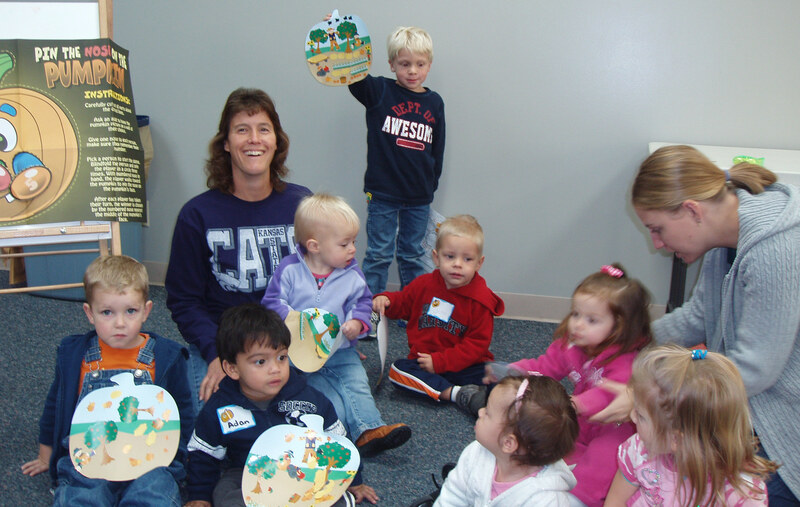 Pre-School Story Time is designed for all children birth to age 5. If their parents think they are ready to be supervised in a group setting, these children are welcome to attend story time independently, otherwise we ask that the parent stay with their child/children. The programs are approximately 30 to 45 minutes in length, will generally center on a theme, and will provide a variety of activities. Story Time is held in the library on the First and Third Tuesdays of each month at 10:00 a.m. Our story time goes ‘on the road’ to the various day cares in Meade on the Second and Fourth Tuesdays. Gerri Reimer is our Story Time Leader and conducts most of the sessions. We occasionally have Guest Storytellers to guide Story Time. * We ask that you arrive before the program begins. * If your child has a fever or communicable disease, please keep him/her at home to avoid passing it on to others.